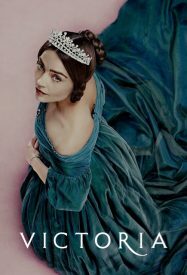 Victoria: Eight-part drama about the early life of Queen Victoria, from the ascension to the throne at the age of 18 to her courtship and marriage to Prince Albert. Jenna Coleman (Doctor Who) stars. One of Us: Gripping thriller that centres around a horrific double murder which rocks the lives of two families living side-by-side in rural Scotland. 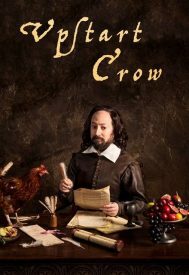 Upstart Crow: Ben Elton’s re-imagination of Shakespeare’s world uncovers the surprising stories of where many of his ideas came from. David Mitchell stars. Dear Murderer: This five-part drama reimagines Mike Bungay QC’s early history, his lusts, loves, career, and the outrageous legal and personal exploits that made the larger-than-life character a force to be reckoned with. Mark Mitchinson (Bombshell) stars. Mind Over Money: Nigel Latta looks at the psychology of cash. Maigret: Rowan Atkinson stars as the legendary Detective Maigret in a two-part crime drama set in 1950s France. A.P.B: Inspired by a true story, A.P.B explores what happens when an enigmatic tech-billionaire purchases a troubled Chicago police precinct. The Blacklist: Redemption: Spin-off from the TV3 series, starring Ryan Eggold and Famke Janssen. Walliams and Friends: Sketch comedy starring David Walliams and friends like Joanna Lumely. Gate to the Globe: A revealing look at success stories of Maori exports across the globe. City in the Sky: Explores the hidden world of aviation, revealing the inner workings of the airports, factories and facilities that collectively keep this vast global network functioning. The Food Detectives: Scientist Prof Alice Roberts, chef Tom Kerridge and journalist Sean Fletcher dish up the plain facts about food. Wild New Zealand: The changing fortunes of New Zealand’s wildlife since humans first arrived. Mountain Goats: Meet a rowdy, ragtag group of mountain rescue volunteers in the majestic Scottish Highlands. The Naked Choir: The search to find New Zealand’s most entertaining amateur a cappella singing group. Moving Out With Tamati: Tamati Coffey follows the fortunes of city dwellers trying to forge new lives in provincial NZ. Bear Grylls: Mission Survive: Bear Grylls pushes a group of celebrities on a 12-day survival mission to their physical and emotional limits. Ready for Take-Off: Key Qantas staff work around the clock to keep the airline in the air. 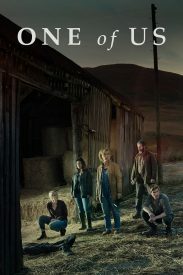 Returning: Ordinary Lies, Code Black, Rachel Hunter’s Tour of Beauty, Border Patrol, Doctor Foster, Broadchurch, Offspring, Blindspot, A Place to Call Home, Border Security, The Force, Criminal Minds, Criminal Minds: Beyond Borders, Call the Midwife, Shed of the Year, Highway Cops, 800 Words, The ITM Fishing Show, Indian Summers, Code: 1, Life Flight, Our Big Blue Backyard, The DNA Detectives, The Missing, Our Girl, George Clarke’s Amazing Spaces, Posh Pawn, Dog Squad, Kiwi Living, Coast NZ and Country Calendar. I noticed there was no Our First Home. Is this not returning because of TVNZ’s thirst to make MKRNZ work?